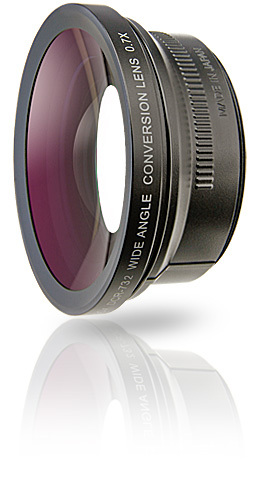 There will be no reduction of light value when this conversion lens is attached on the camera's lens. DCR-731 comes with 3-adapter rings for 37mm, 43mm and 55mm filter sizes. DCR-732 comes with 3-adapter rings for 37mm, 43mm and 46mm filter sizes. There is no difference in the quality of lens between DCR-732, DCR-731 and DCR-730. DCR-732/DCR-731 are also suitable to High Definition Digital Camcorders.